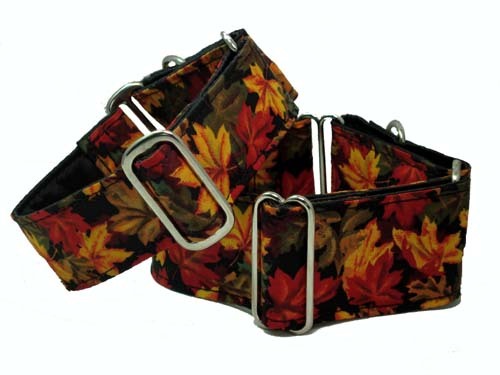 Autumn Leaves Colorful leaves in shades of the fall season that stand out against a black background sewn tightly over a polypro base that is first completely wrapped in jet black cuddle satin makes this a perfect Autumn collar for any color hound. 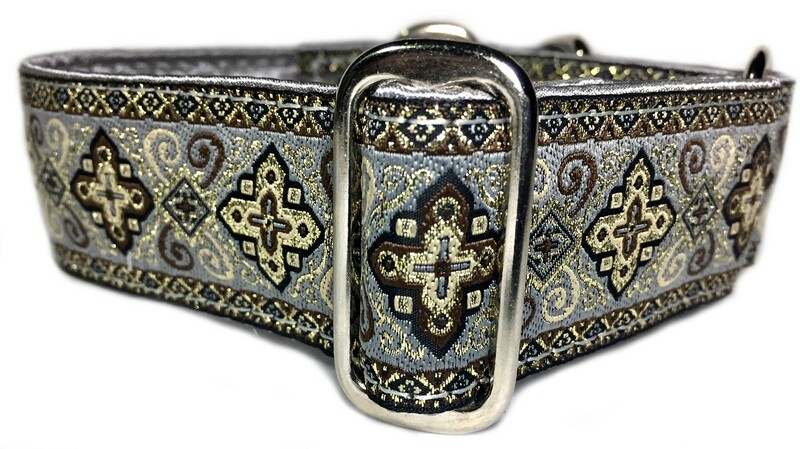 Available as a 1.5" (shown on top) or a 2" (shown on bottom) martingale. 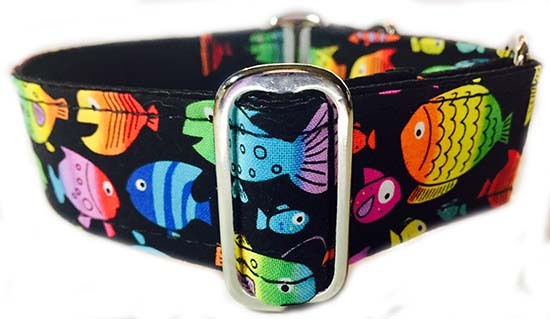 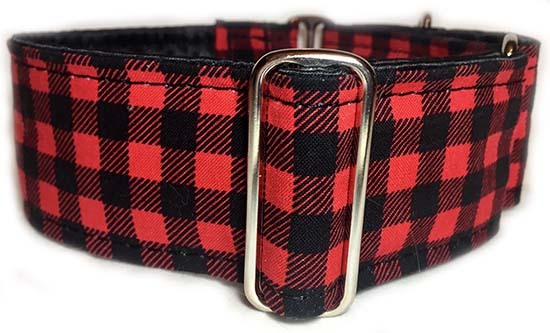 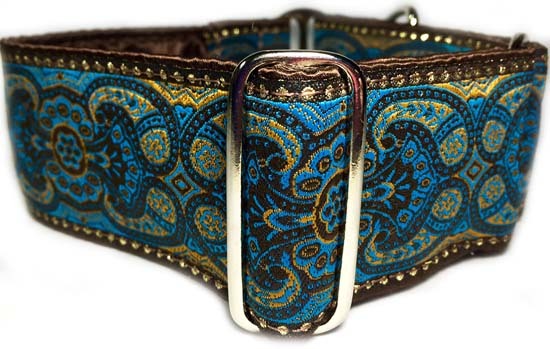 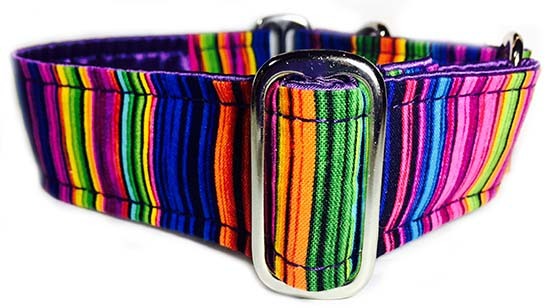 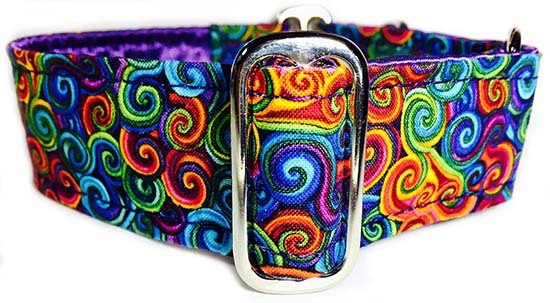 Please email if you would like this collar in a size other than the standard greyhound size.